According the the Heinkel Club of the United Kingdom, two (or possibly three ) prototypes were built by Heinkel Cabin Scooters of Dundalk, Ireland. It's interesting to look at the photos. 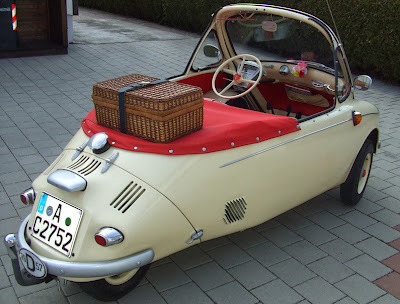 It doesn't have a "Heinkel-I" door badge or steering wheel insert. It was probably restored and repainted at some point as it has different window latches, door closer, and paint around the windshield wiper trim. The text of the ad says the current owner has had it for 35 years. It's a neat car and definitely worth looking at the ad, even if you can only dream of buying it. Brilliant, the suspension and hydraulic brakes gave a smooth ride and never any fear of a slide, in my experience. If I had a lot of cash, I would dig up the press tools and manufacture. I think the Heink,. 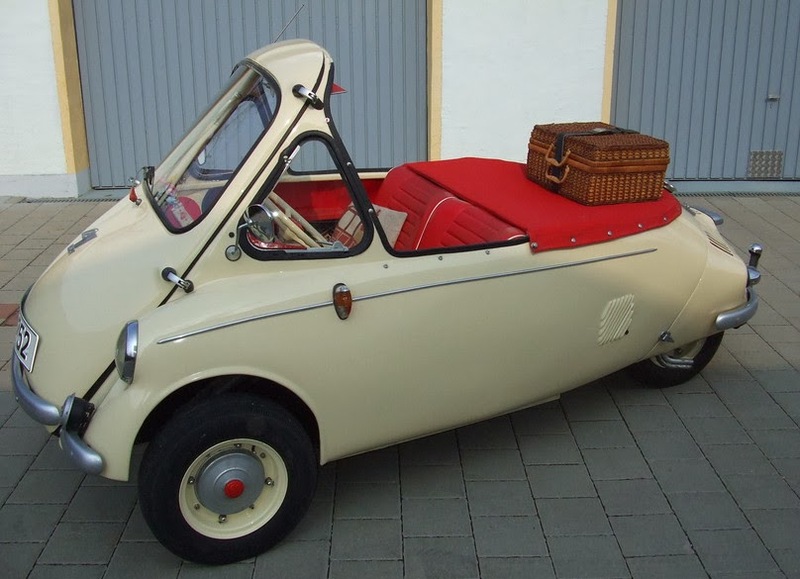 and the Troj., were the best of the micro's.